Mold Inspection companies are not all alike; Indoor-Restore Environmental Services is a step above the competition in Mold Testing and Inspection! How are we different from other mold inspection companies? Certified by the Indoor Environmental Association (IEA), renewed annually. Required to pass recurring hands-on training through our company. Knowledgeable in home inspection, property maintenance, and construction industries. Periodically evaluated to guarantee that their technique, knowledge, and customer service skills stand by the Values and Mission of Indoor-Restore Environmental Services. Some of our inspectors even provide training to government and commercial bodies on Indoor Air Quality (IAQ), mold, and the prevention of property water damage. Mold inspections can be precautionary or needed due to an issue such as the discovery of visual mold or water leaks or unresolved health concerns. Our examination includes a full visual investigation of the property, moisture detection with a digital moisture meter, leak detection, and collecting various samples for laboratory testing. The sampling comprises of Indoor Air Quality (IAQ) tests, and may also include surface sample testing (depending on the findings during the visual inspection), for mold, allergens, and other contaminants. We provide a variety sampling types in order to customize our services to your needs. When sampling fungal concentrations in an environment, there are a number of different ways to do this. The most common of these methods is air sampling, which involves assessing the particulates found in an indoor environment. Studies have shown that airborne fungal spores have had an effect in increasing allergic and asthmatic symptoms in exposed humans. The main part of a human that is affected by exposure to these fungal spores is the respiratory system. In order to best assess the possibility of exposure to contaminants such as molds, allergens and mycotoxins, samples are taken to identify the contaminants correctly. This process is called mold testing or allergen contaminates testing. The next most common fungal spore testing method is surface sampling. Surface samples can include swabbing, taping, bulk and dust. In order to get the most accurate results, this method is often done alongside air sampling. Mold testing services is performed by Indoor-Restore’s specialists who are IEA Certified Inspectors who have been trained on-the-job as well as in extensive courses. In order for us to provide our customers with the best inspection services possible, our experienced technicians are also versed in building construction. With the versatile background of our technicians are able to ensure the proper tests are being conducted thoroughly on a property. We provide free, up-front estimates which encompass all laboratory fees for samples retrieved. It also includes a comprehensive report of the lab results with photos and recommendations by the inspector. If necessary, an assessment for remediation of any areas found to be contaminated will also be provided. If you are in need of a mold inspection, or have questions about our mold inspection service, contact the experts at Indoor-Restore Environmental Services at (866) 358-3838 or submit an online contact form for more information. Our precautionary attitude is embedded in our company culture, and is revealed when potential clients speak with our Customer Service Department and Project Coordination team. In most cases people who suspect mold growth seek mold removal services prior any scientific laboratory identification. 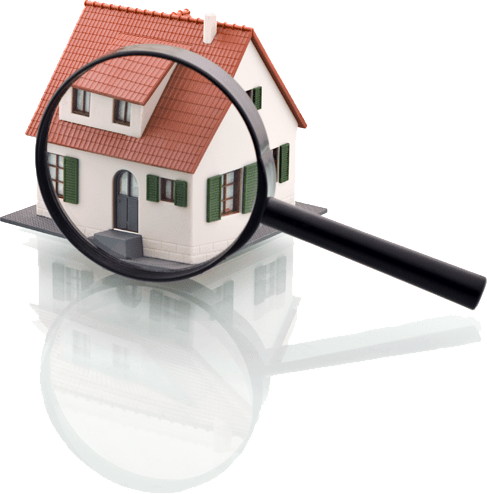 This may seem the best option at the moment, yet through empowering and educating our clients about the importance of performing a mold inspection and testing, they become fully prepared to make a well-informed decision about their health and property. After a mold inspection has been performed and the results from the notes and laboratory report show signs of mold contamination, the initial mold inspection cost will be credited towards the mold removal estimate. This estimate will be included in the report, a legal document, which includes all the inspector’s findings, laboratory results, and the scope of remediation details.